It is almost here, guys! Dead Trigger 2 will soon be ready for prime time, and its developer – Madfinger Games – has just released some spicy details about the upcoming title. Surprisingly, we aren't dealing with a single-player first-person shooter anymore. Dead Trigger 2 has evolved into a massively multiplayer online game where players join forces in effort to stop the oncoming hordes of flesh-hungry zombies. Simply put, the world will be the same for all players, with progress made by others saved so that newcomers won't have to start from the beginning. There will be single-player missions as well, in case you feel like facing the zombies by yourself. New weapons are also expected to make an appearance in Dead Trigger 2 – weapons like knives and the dual sub-machine guns you'll see in the video below. The enemies will be meaner, with giant boss zombies incoming as well. As for the game's graphics, Dead Trigger 2 will be "optimized" for devices powered by NVIDIA's Tegra 4 chip. That includes not only smartphones and tablets, such as the ones introduced by Asus and Toshiba recently, but also the Project Shield portable game console, bound to hit the shelves later this month. Visuals on Tegra 4 gear will be a lot fuller of eye candy like dynamic shadows, reflections, particle effects and better ragdoll physics. 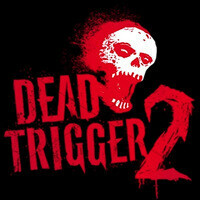 Dead Trigger 2 will be released this summer on both Android and iOS and its developers have previously stated that the game will be free to play. Another awesome game from my favorite studio!!!! those are near ps games graphics. Looks cool. I wish it wasn't optimized only for Tegra 4 Devices. I have a T3 device and I'm really going to miss those optimizations because, I highly doubt that I'll be waiting on a T4 device for my next phone.